Sen. Art Kirkendoll (D-Logan), a coal supporter, argued against the bill, expressing concern of how cutting severance taxes would further hurt coalfield communities who rely on the distributed revenue. 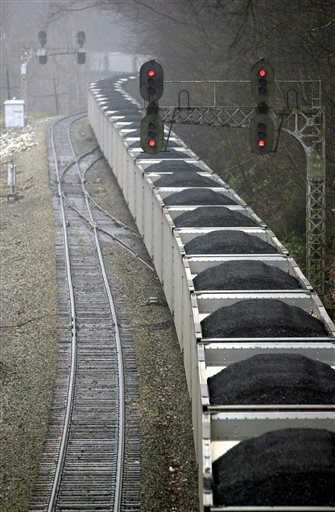 Sen. Mike Woelfel also expressed concern for coal counties. “Now we’re going to turn our backs on those folks that don’t even have as much as a red light in their counties. Now we’re going to cut back their severance tax shares,” Woelfel said. Second, there’s a little-noticed bill on third reading today in the House that will undoubtedly be portrayed as one of these “agreed to” pieces of legislation that everyone supports. But HB4276 would, among other things, potentially reduce the number of mine rescue teams available in the state, cut the fines coal operators would pay if they don’t quickly report serious mining incidents, and greatly expand the ability of mining companies to challenge violations and enforcement orders in court. After extensive negotiations, the union is supportive of this legislation. It is reflective of the negotiations process-neither party got all of what it wanted but compromised where needed. What’s going on here is that coal industry supporters in the Legislature were threatening to push another bill, SB417, that the UMWA felt would make even more radical changes in state mine safety rules — for example, removing job security protections for safety inspectors — and the union and others thought that HB4276 was the best compromise they could get. Of course, maybe lawmakers faced with a huge budget crisis will think twice about giving the coal industry a tax break. UPDATED: Stranger things have happened … I mean, 16 Democrats did stick together to try to hurry the tax bill along, and as David Gutman reported, the Senate did refuse to pass a bill to help pipeline companies be able to go on people’s property without permission. So maybe some in the Legislature will realize that just because the UMWA and the coal association agree to a bill doesn’t mean it’s good policy. They’re the ones who got elected, after all. And elections matter. 4726 is an 80-page bill that was originated in the House Energy committee just 15 days before the end of the session. That’s the most industry-friendly committee you could imagine, and no other committee evaluated it. So today, just four days after its “birth,” it was up for passage in the House. To say it hasn’t been properly vetted is a huge understatement. Gosh, if you didn’t know better you might think this was all by design . . .